Like many gardeners I love to borrow ideas from beautiful landscapes. But this is not always easy. Sometimes the challenge is to scale down something grand - a concept from Versailles can be hard to adjust to a much smaller garden. Some ideas are prohibitively expensive – the thought of filling a space with antique ornaments isn’t feasible when a single piece can cost the same as a used car. And sometimes ideas are just not practical - a terra cotta pot suited for the tropics would crack to pieces in one Wisconsin winter. 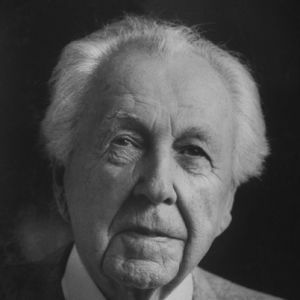 This is why I so appreciate the work of Frank Lloyd Wright. In his buildings, he embraced common construction materials in innovative ways. For example, plywood, typically reserved for behind- the-scenes construction, was used by Wright to create beautiful furniture prominently displayed and integral to the overall design. Instead of discarding the ends of 2x4 framing lumber as most architects would, he repurposed the material to create the floor of his architecture studio. Wright's gates echo the design and color of the windows, further tying the landscape to the buildings. Wright brought this same mindset to his garden. 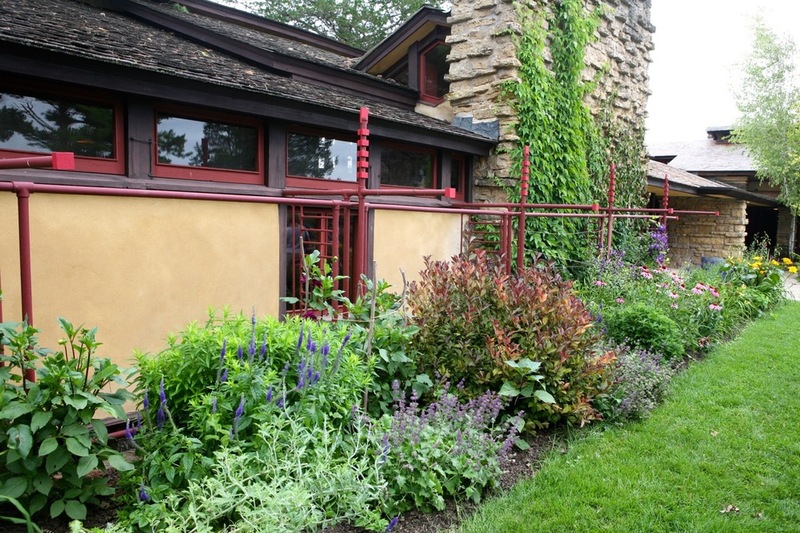 My favorite example is from his home and studio, Taliesin, in Spring Green, Wisconsin. “Taliesin served as a 1:1 scale model for Wright to explore design concepts, structural assemblies, and materials; it is an amalgamation of work space, living space, farming space, and classroom space,” explains Taliesin Preservation. His creativity can be seen in a series of metal structures: garden gates, a pergola, and trellises. Though each is unique to its situation, they share common design elements that complement the building and plantings. All are painted red and feature modernistic finials of repeating square elements. Although they are spread out around the property, their consistent features tie the landscape together. My visit reminded me of the power of repetition and consistency in the garden to reinforce the identity of a particular place. What makes these finials particularly delightful is that they are made of plumbing pipe! Though I don’t have any illusions of being able to copy Wright’s design genius, my visit left me with thoughts of visiting my local Re-Store to repurpose old building supplies into my garden design. Taliesin Preservation also hosts several excellent tours. I recommend the 4-hour version - there is so much to take in. Any creative re-use projects on your horizon? Join me here for more posts about Taliesin.